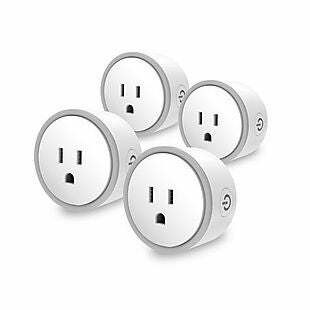 This 4-Pack of Eques Elf Smart Plugs, listed at $129.99, is now $29.99 at EquesHome via Newegg. With free shipping, this is the lowest price we could find. Typically, a single plug sells for around $20. These plugs allow you to control lights, appliances, or other devices from your smartphone or smart-home assistant. Sales tax is charged in most states. Newegg is a leading online electronics superstore that is known for superb customer service. Newegg offers great prices on computers, hardware, game consoles and accessories, tablets, smartphones and more. Newegg also offers accidental damage and extended service plans on many items as well as free "EggSaver" shipping on certain purchases. Sales tax is charged in CA, IN, NJ and TN. Are you a frequent Newegg customer? Maybe you should consider a Newegg Premier Membership ($49.99 per year, 30-day free trial). The membership includes free expedited shipping, dedicated customer service, and private sales, plus Newegg will waive any restocking fees. Save big this Black Friday by finding some of the best Newegg deals of the year in the Newegg Black Friday Ad.